All of our wooden wigwams are cosy and warm. Each one is insulated and double glazed. Each one has a panel heater to keep you cosy and warm and extra electrical sockets for you own use. You also have a fridge and a kettle. Inside the wigwam the bench type seating area with thick foam mattresses converts to a wall to wall sleeping area. Outside the wigwam you have your own decking area and picnic table so that you can enjoy sitting outdoors and enjoying the fresh air. Campfires can be provided for you but these must be prebooked. Parking is in the designated area close to your wigwam. 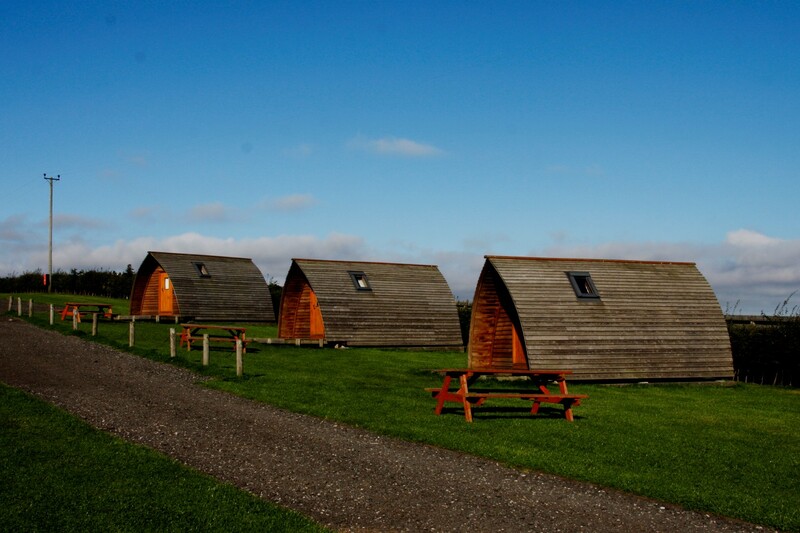 We have 20 Big Chief Wigwams which can each sleep up to five people. We have four Wee Braves which sleep three. Five of our Big Chiefs are “dog-friendly” so you can bring up to two dogs each with you to enjoy your glamping experience. We also have two ensuite wigwams with their own shower room complete with toilet and wash hand basin. Sheer luxury for the glamper who likes a few more home comforts. The ensuites are also equipped with their own colour TV with built in DVD player- perfect to catch up with the news, keep the kids amused in the mornings or just chill relax and watch a movie of your choice! Our Deluxe ensuite wigwam "The Grand Canyon" has proved to be very popular. Not only do you have your own shower room but you also have your own kitchen area with hob, microwave, fridge,washing up sink, pots and pans, crockery and cutlery. There is also a table and chairs in there if the weather is not so good for sitting outside for breakfast or supper. The deluxe ensuite also has a TV with built in DVD player so you can relax and watch TV or catch up with your favourite movies!The deluxe ensuite has patio doors which open up to a view to die for! You are overlooking the sea and have a fantastic view over to Berwick upon Tweed. Pot a Doodle Do’s Mini Moon Package offers an exclusive honeymoon or anniversary experience. This is a luxury in the great outdoors without breaking the bank. Your 2 night ‘mini moon’ package is great value at £325. On arrival your wigwam will be beautifully made up with soft duvets, pillows and a sheepskin rug. There will be a bottle of sparkling wine on ice, a box of locally produced Lindisfarne Truffles, and a bouquet of red roses waiting for you. 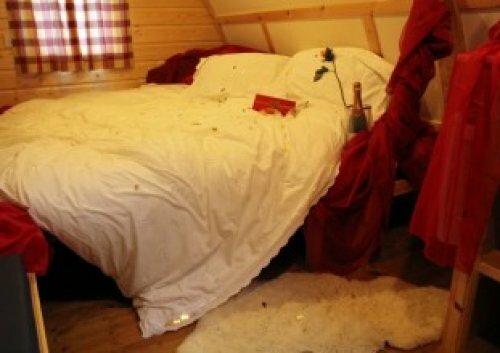 The package also includes fairy-lights and bunting, campfires, 2 x Hand Towels, 2 x Bath Towels and breakfast for 2 on both days.